Mid-Columbia Libraries' digital resources can help you find and access books, eBooks, eAudiobooks and eMagazines; learn new skills; and perform scholarly or genealogical research. Most can be accessed from home or your personal devices using a Mid-Columbia Libraries card. Accelerated Reader (AR) is the most widely used reading program in K12 schools. Use BookFinder as a guide to identify the books with quizzes in your reading level. Find global information on topics related to business, economics, education, government, health, politics, sports, STEM and more. Only available inside the library. Conduct genealogical research on individuals from North America, the UK, Europe, Australia, and more using Ancestry, the world’s most popular consumer genealogy resource. Supplement your research with primary sources using Archive Grid. Locate over four million historical documents held in over one thousand archives around the world with Archive Grid. Only available from inside the library. Camio is a growing online collection documenting works of art from around the world, representing the collections of prominent museums. Maintain and repair your vehicle with Chilton Library. This easy to use database provides exclusive photographs, diagnostics, step-by-step repair procedures, wiring diagrams, maintenance schedules, recalls, and more. Discover the world around you with CultureGrams. Find concise, up-to-date statistical and cultural information about all countries and states. Includes four editions: World, Kids, States, and Provinces. 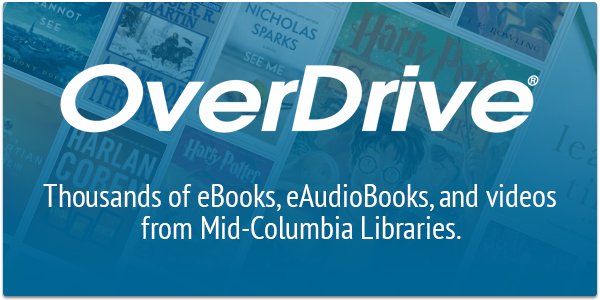 Access and download nearly 50,000 titles on your computer, eReader, tablet, or smartphone via OverDrive. eLibrary is the perfect resource for delivering full-text and multimedia reference essentials, including citations. The easy-to-use interface makes research simple, no matter your experience with databases. Heritage Quest Online is a comprehensive treasury of American genealogical sources – rich in unique primary sources, local and family history, and finding aids. Access historic Washington newspapers with Washington State Library’s History Newspapers database. Issues are available in high resolution PDFs. History Study Center is an online resource providing a vast collection of digitized primary and secondary sources for the study of history. It is suitable for a wide range of users. Kanopy is a streaming video service with more than 30,000 of the world’s best films including award-winning documentaries, rare and hard-to-find titles, film festival favorites, indie, classic films, and world cinema. In collaboration with Microsoft and the State Library, this resource can help grow your skill set in a number of Microsoft products, including Office, among many others. Encourage reading success with NoveList K-8 Plus, a database of books spcefically for younger readers. This resource will help kids find books that are great for their reading level and interests. Discover your next great read using NoveList Plus. This database is the premiere resource for books, expert recommendations, reviews, and more. Great for all ages and genres. 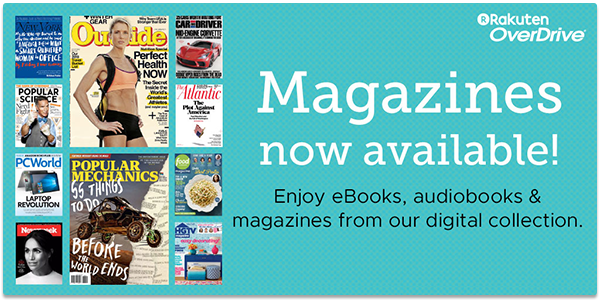 Access and subscribe to popular magazine titles using Overdrive. This resource can be used on your computer, eReader, tablet, or smartphone. Prepare for citizenship with the questions and informational videos found in this database. 80 languages. 4,000 courses. The world's largest language-learning service. ProQuest is a research database which utilizes a wide array of sources covering many subjects, including arts, business, health, humanities, military, psychology, social sciences, and many more. Utilizing nearly 600 publications, this database provides health information on a wide range of topics. Access our collection of Read-Alongs. These titles provide professional narration that plays while you read along in your browser. Would you like to recommend an item for the library to purchase or request an Interlibrary Loan? Search or browse full-text articles of the most recent ten years of the Tri-City Herald. Access high resolution scans of historical issues of the Tri-City Herald, dating from 1947 to 1956. All available issues are searchable. Find Tri-City Herald, Kennewick Courier Reporter, and Pasco Herald Express obituary and death listings from 1905-2019 in this downloadable Excel document. Explore and research people, events and issues across Washington State with this collection of statewide newspapers.